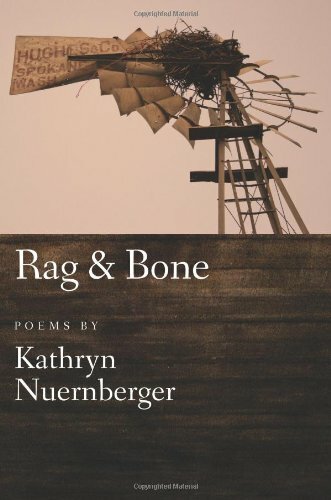 Kathryn Nuernberger has lived in various corners of Missouri, Louisiana, Montana, and Washington. She now lives with her husband and daughter on a defunct dairy farm in southeastern Ohio. She teaches at Ohio University and edits the literary journal Quarter After Eight. done with tobacco and fireflies? now glow under the passing planes. the pinch of frost. I think I’ll give it a try. like a girl? Eager to perform your vulnerabilities? without having scratched a rung on your double helix? chromosome and it’ll run with words like water. as you remember what I used to be.